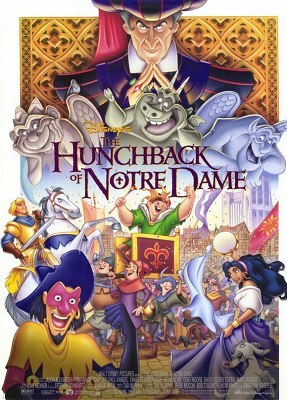 After becoming an orphan, Quasimodo is adopted by Frollo, the man saved him from being murdered like his mother. A few years later, Quasimodo lives in the top of a church, wondering how does the world treat the rest of humans. He is very afraid of going outside, as Frollo has always told him that he is a monster. His only friends are a group of gargoyles, who encourage Quasimodo to go out and attend the Festival of Fools, as there will be a lot of people in costumes there. But people recognise that Quasimodo is not normal and start running away from him. Esmeralda, sicken by this behaviour, follows Quasimodo and becomes friends with him. But Quasimodo’s feelings go beyond friendship for Esmeralda, making his life quite difficult.